Credit Karma is finally expanding to the UK as it finalises the Noddle acquisition from TransUnion, which was originally announced in November 2018.
Credit Karma made the purchase from TransUnion, which received Noddle as a part of its purchase of CallCredit for $1.4 billion in April of this year. Credit Karma will welcome more than 30 Noddle employees to the company and has plans to more than triple the team in London and Leeds over the course of the next year, including relocation to a larger office space in Leeds and opening new headquarters in London. 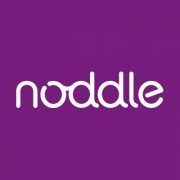 The Noddle brand will be replaced with Credit Karma in the coming weeks and as an investment in UK growth, Credit Karma’s co-founder Nichole Mustard has relocated to oversee the UK operation. Credit Karma says it is working to make the transition as seamless as possible for Noddle’s four million members. It aims to provide UK members with an up-to-date and personalised experience, including complete access to all their credit history as well as free services to help monitor and build their credit. This includes, in due course, making all formerly premium Noddle products completely free of charge.